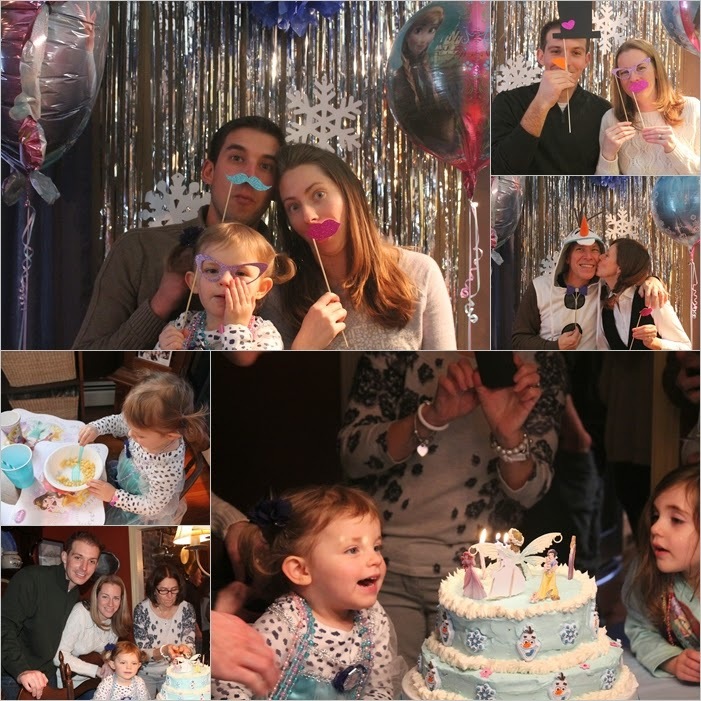 We had a wonderful time celebrating Grace's 3rd birthday two weekends ago, before we left on our cruise. Grace has been excited for her birthday for ohhh probably an entire year so this day was a long time coming for her. We even set up a little Frozen Photo Booth action and the whole family joined in!